Pterostilbene is a compound found naturally in blueberries. It is a chemical similar to resveratrol and is available in dietary supplement form. Preliminary research suggests that pterostilbene may reduce inflammation and offer antioxidant benefits. Due to a lack of research, little is known about the safety of long-term or regular use of dietary supplements containing pterostilbene. Keep in mind that supplements haven't been tested for safety, and dietary supplements are largely unregulated. In some cases, the product may deliver doses that differ from the specified amount for each herb. In other cases, the product may be contaminated with other substances such as metals. Also, the safety of supplements in pregnant women, nursing mothers, children, and those with medical conditions or who are taking medications has not been established. Supplements containing pterostilbene are sold in many natural-foods stores and in stores specializing in dietary supplements. They can also be found online. It's also said to protect against certain forms of cancer and preserve memory as you age. Although there is currently a lack of clinical trials testing the effects of pterostilbene, a number of preliminary studies indicate that pterostilbene may offer several health benefits. Here's a look at several key findings from the available research. Pterostilbene shows promise for protection against atherosclerosis, or hardening of the arteries, according to a 2012 study published in Apoptosis. In tests on human cells and on mice, scientists demonstrated that pterostilbene may inhibit the buildup of LDL cholesterol, or bad cholesterol. The study also found that pterostilbene may help fight oxidative stress, a destructive biological process thought to be a key factor in the development of heart disease. Pterostilbene may help protect against Alzheimer's disease and aging-related cognitive decline, according to an animal-based study published in Neurobiology of Aging in 2012. In tests on mice, the study's authors determined that pterostilbene may help preserve cognitive function, in part by reducing inflammation. A number of preliminary studies suggest that pterostilbene may offer anti-cancer benefits. In a 2012 report published in the Journal of Surgical Research, scientists reviewed the available research on pterostilbene as an anti-cancer agent and found that pterostilbene may hinder cancer growth by altering cancer cell cycles, inducing apoptosis (a type of programmed cell death essential for stopping the proliferation of cancer cells) and inhibiting metastasis (the spread of cancer from one part of the body to another). The review also determined that pterostilbene's antioxidant effects may play a key role in cancer protection. What's more, several recent animal-based studies and studies on human cells have found that pterostilbene may be effective for protection against breast cancer, prostate cancer, and colon cancer. 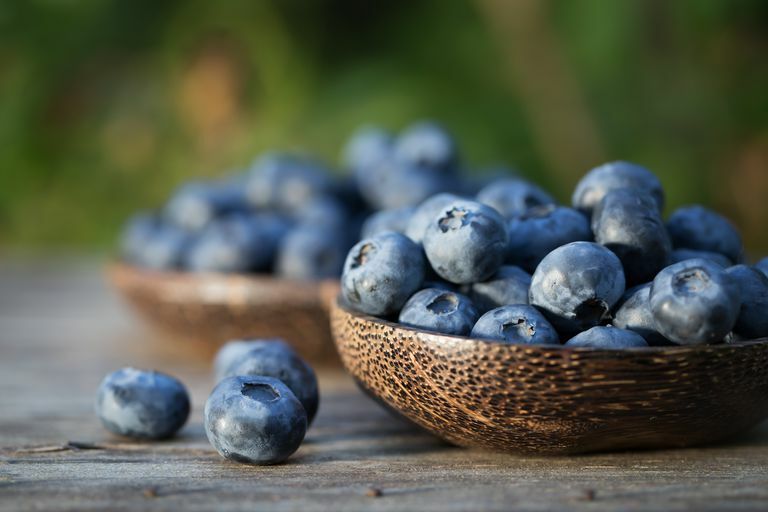 It's too soon to recommend the use of pterostilbene supplements as a standard treatment for any condition, however, increasing your intake of pterostilbene by consuming blueberries on a regular basis may help enhance your health. Research suggests that a diet high in berries may help fight cognitive decline and protect cardiovascular health. It's also important to note that self-treating a chronic condition such as diabetes with pterostilbene and avoiding or delaying standard care may have serious consequences. If you're considering the use of pterostilbene in the treatment of a chronic condition, make sure to consult your physician. Chang J, Rimando A, Pallas M, Camins A, Porquet D, Reeves J, Shukitt-Hale B, Smith MA, Joseph JA, Casadesus G. "Low-dose pterostilbene, but not resveratrol, is a potent neuromodulator in aging and Alzheimer's disease." Neurobiol Aging. 2012 Sep;33(9):2062-71. Lin VC, Tsai YC, Lin JN, Fan LL, Pan MH, Ho CT, Wu JY, Way TD. "Activation of AMPK by pterostilbene suppresses lipogenesis and cell-cycle progression in p53 positive and negative human prostate cancer cells." J Agric Food Chem. 2012 Jun 27;60(25):6399-407. McCormack D, McFadden D. "Pterostilbene and cancer: current review." J Surg Res. 2012 Apr;173(2):e53-61. Moon D, McCormack D, McDonald D, McFadden D. "Pterostilbene induces mitochondrially derived apoptosis in breast cancer cells in vitro." J Surg Res. 2012 Apr 29. Nutakul W, Sobers HS, Qiu P, Dong P, Decker EA, McClements DJ, Xiao H. "Inhibitory effects of resveratrol and pterostilbene on human colon cancer cells: a side-by-side comparison." J Agric Food Chem. 2011 Oct 26;59(20):10964-70. Paul S, DeCastro AJ, Lee HJ, Smolarek AK, So JY, Simi B, Wang CX, Zhou R, Rimando AM, Suh N. "Dietary intake of pterostilbene, a constituent of blueberries, inhibits the beta-catenin/p65 downstream signaling pathway and colon carcinogenesis in rats." Carcinogenesis. 2010 Jul;31(7):1272-8. Remsberg CM, Yáñez JA, Ohgami Y, Vega-Villa KR, Rimando AM, Davies NM. "Pharmacometrics of pterostilbene: preclinical pharmacokinetics and metabolism, anticancer, antiinflammatory, antioxidant and analgesic activity." Phytother Res. 2008 Feb;22(2):169-79. Wang Y, Ding L, Wang X, Zhang J, Han W, Feng L, Sun J, Jin H, Wang XJ. "Pterostilbene simultaneously induces apoptosis, cell cycle arrest and cyto-protective autophagy in breast cancer cells." Am J Transl Res. 2012;4(1):44-51. Zhang L, Zhou G, Song W, Tan X, Guo Y, Zhou B, Jing H, Zhao S, Chen L. "Pterostilbene protects vascular endothelial cells against oxidized low-density lipoprotein-induced apoptosis in vitro and in vivo." Apoptosis. 2012 Jan;17(1):25-36. Can White Mulberry Help Fight Diabetes and Other Health Issues? What Can Chaga Do for You?